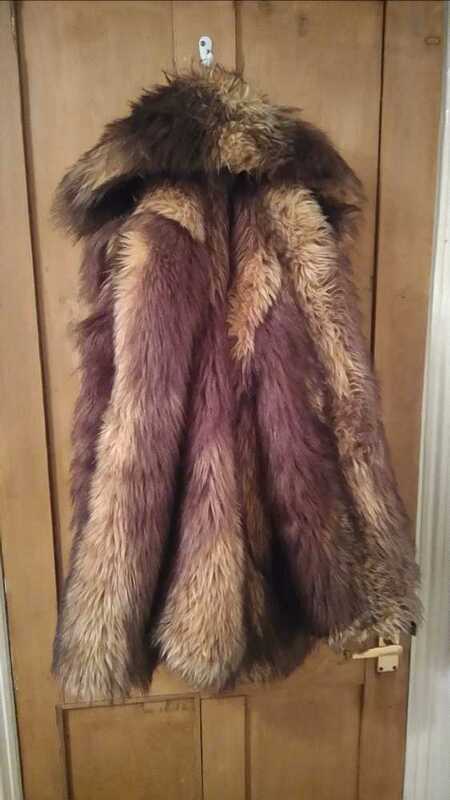 This beast of a coat is from Asos and is a UK size 10. It has a couple of clasps at the front and pockets. The collar is huge and furry!